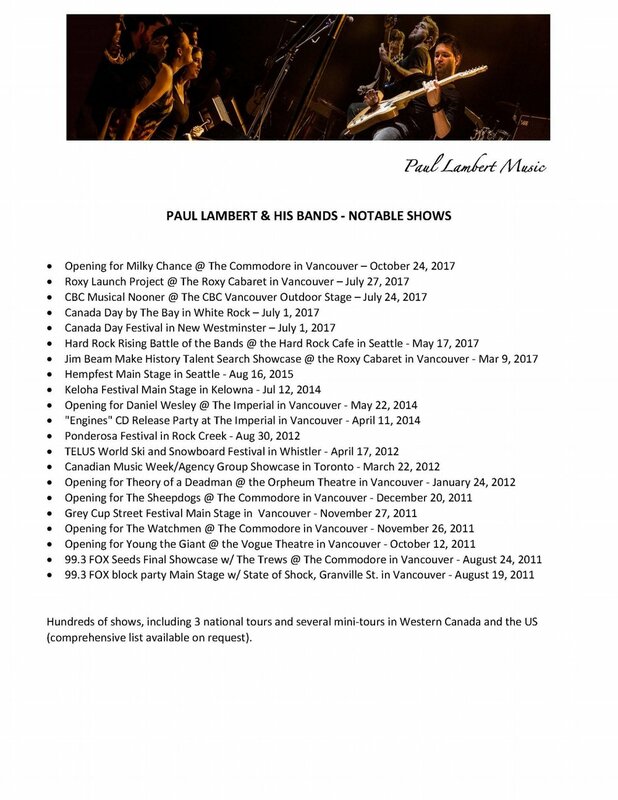 5 year retrospective from 2011 to 2016 of Paul Lambert playing with City Walls and Louder Than Love at venues including Vancouver's Orpheum Theatre, the Vogue, the Commodore, the Imperial, the Roxy, the Backstage Lounge, the Bourbon, the Granville Street festival, the Terry Fox Plaza (for Grey Cup), as well as the Seattle Hempfest and Doc Willoughby's pub and Keloha Festival in Kelowna. 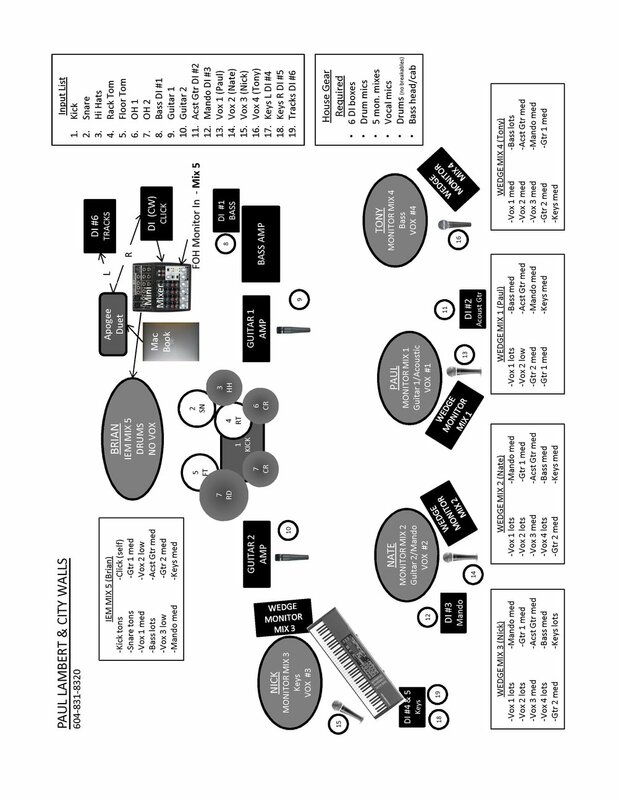 Paul Lambert and City Walls (Nate Parsons, Brian Welsh & Tony Lambert) play a sold out show at the Blarney Stone in Vancouver, BC on March 2, 2017. Tunes are from the albums Sweet Relief and Engines, available at online stores everywhere.